On one occasion Dickens was judging a case when the male prisoner interrupted him by saying "You ain't a patch on your father." "I quite agree with you. What do you know of my father?" Dickens replied. The prisoner, who had spent most of his life in prison, answered "Well, I have read some in prison." "Have you? 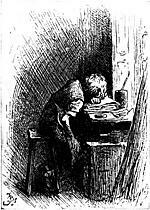 ", Dickens replied, "that's capital; for you will now have eighteen months in which to resume your studies." He repeatedly refused nominations for election to Parliament, believing it would adversely affect his legal practice. 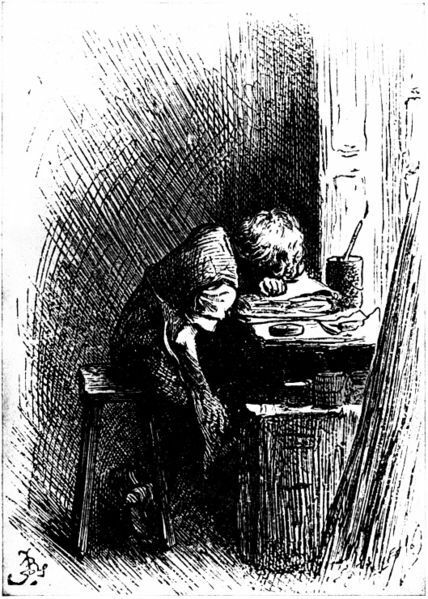 Young Henry is often regarded as the only one of the writer's children to make a success of himself. By the time of the argument he had earned enough of a reputation and a living at the bar that he had repeatedly refused nominations for election to Parliament, for fear it will cut into his legal practice. ── "You ain't a patch on your father." (略)"Have you?"